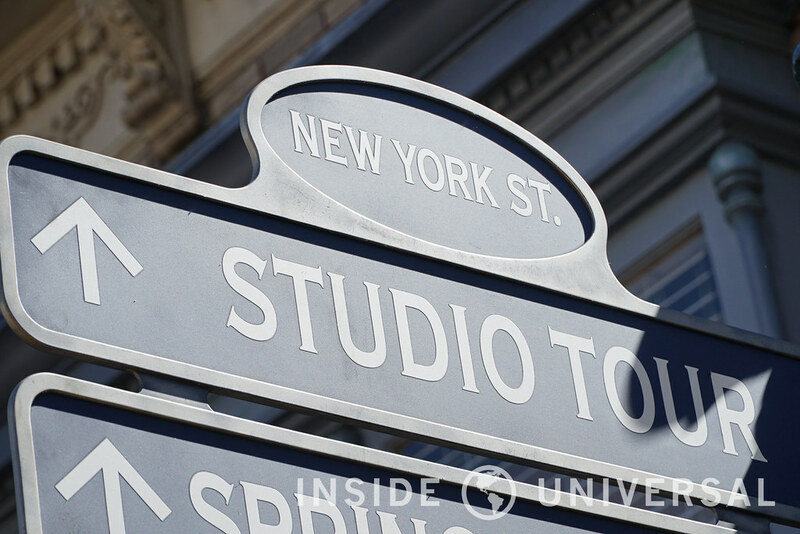 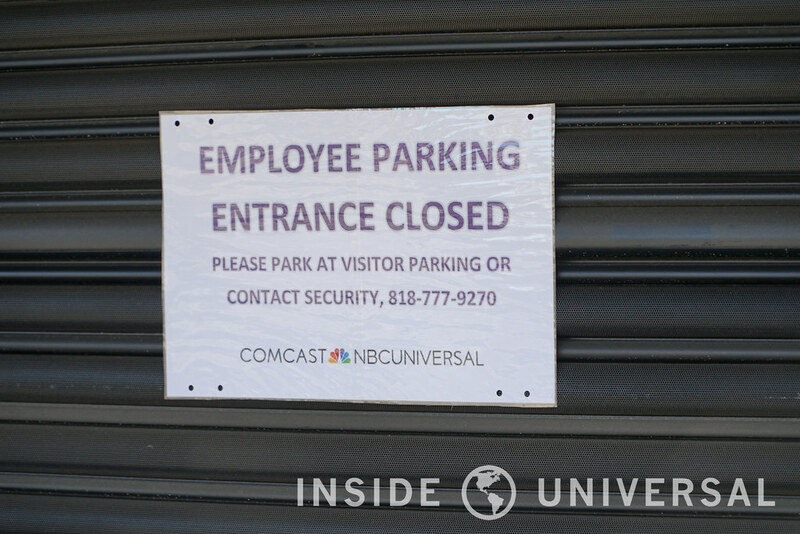 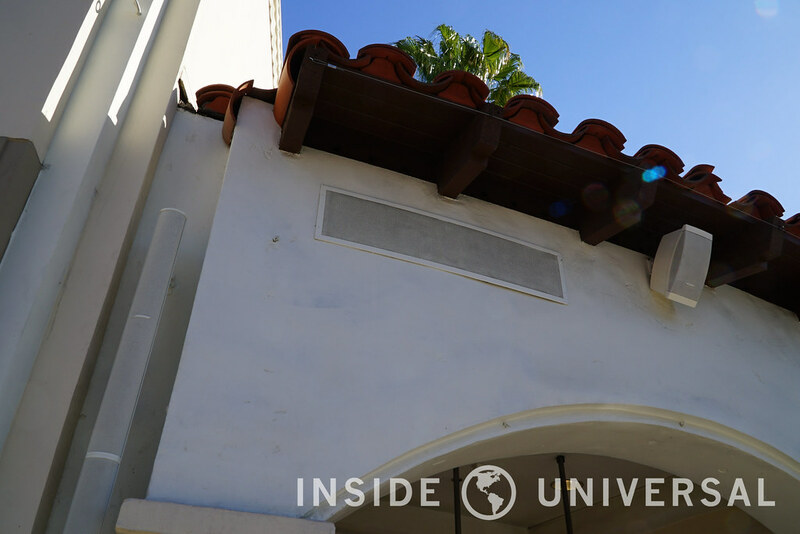 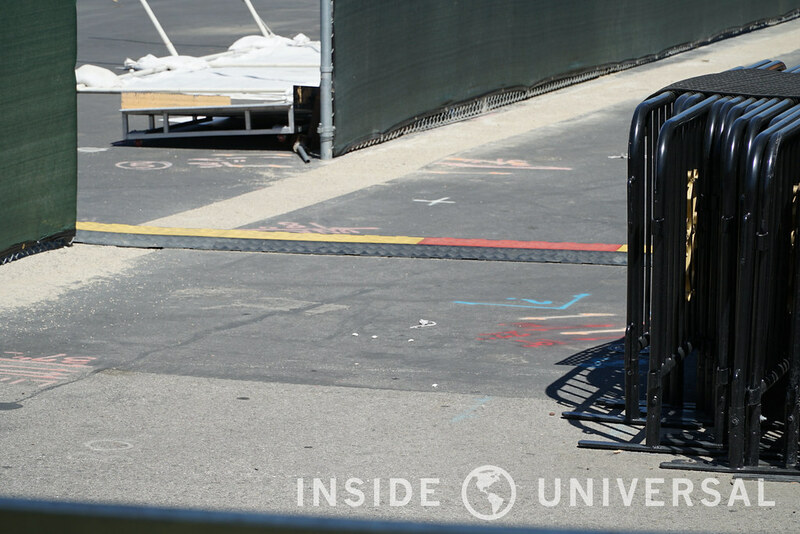 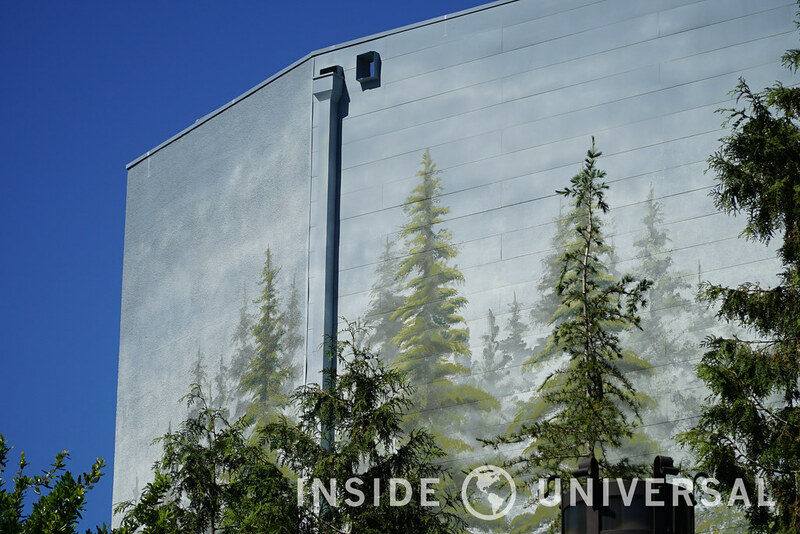 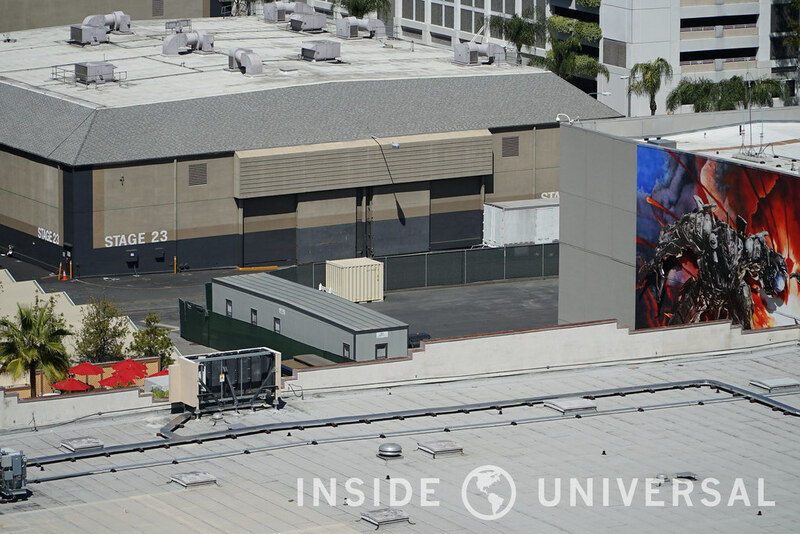 Photo Update: April 16, 2016 – Universal Studios Hollywood – The Walking Dead, Universal Backlot & More! 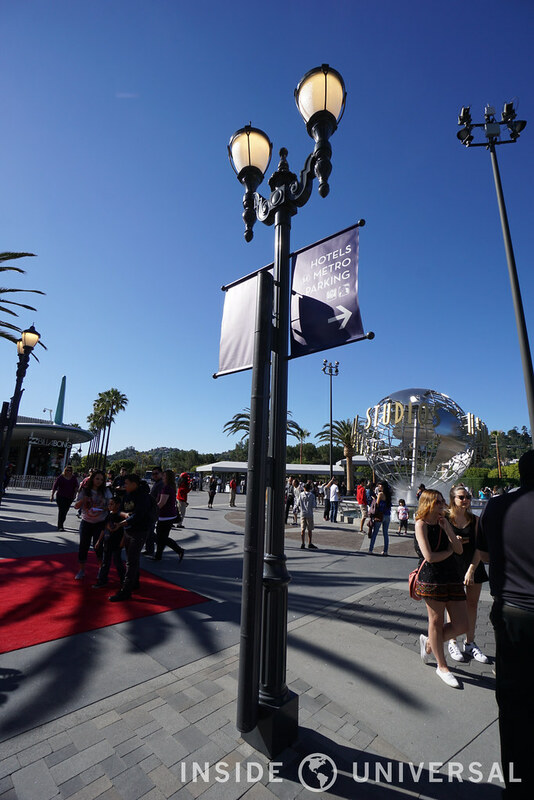 With The Wizarding World of Harry Potter now officially open, Universal is now winding down on what had been an incredible five-year period of growth and change for the park. 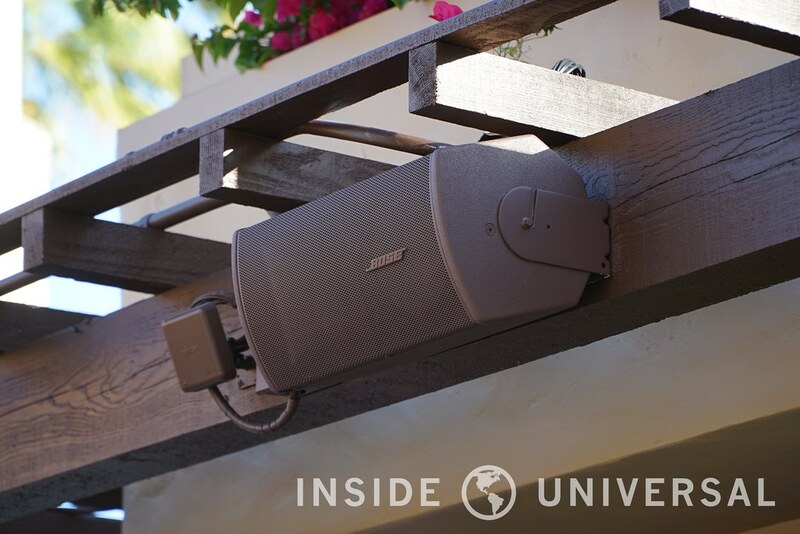 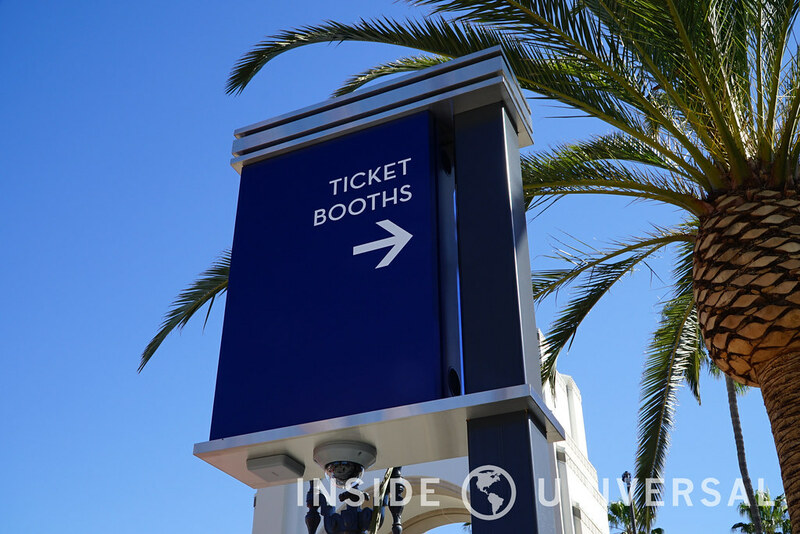 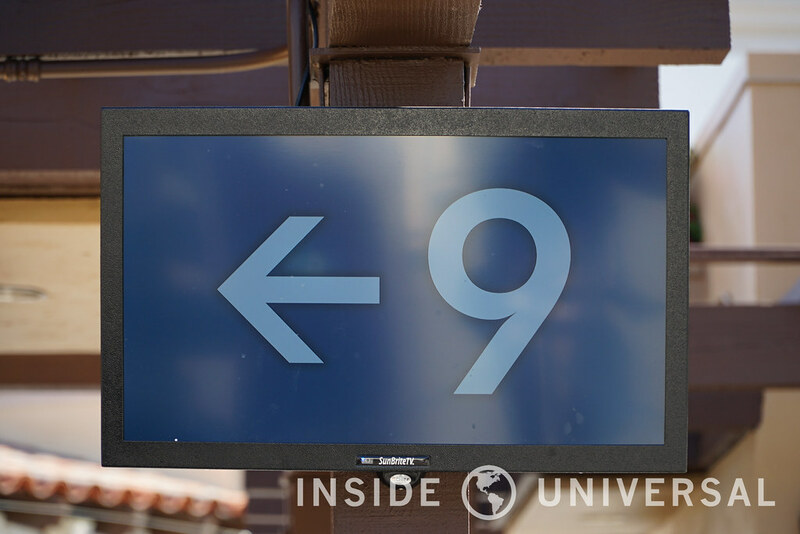 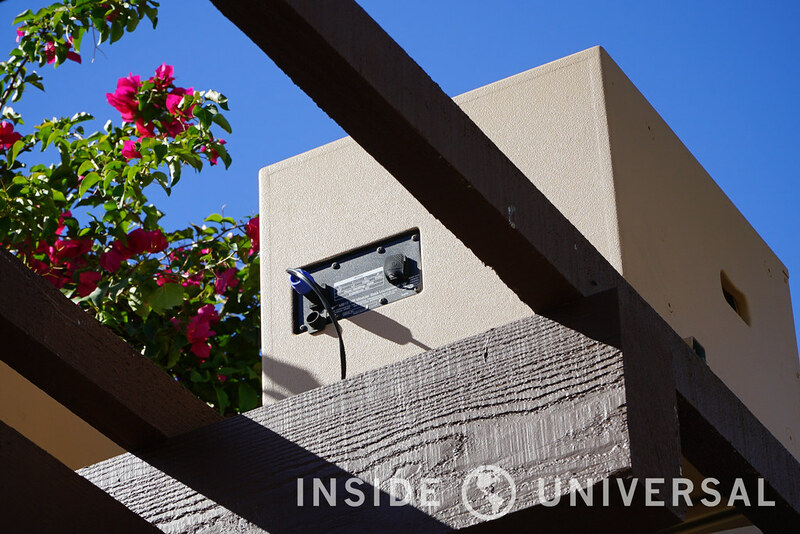 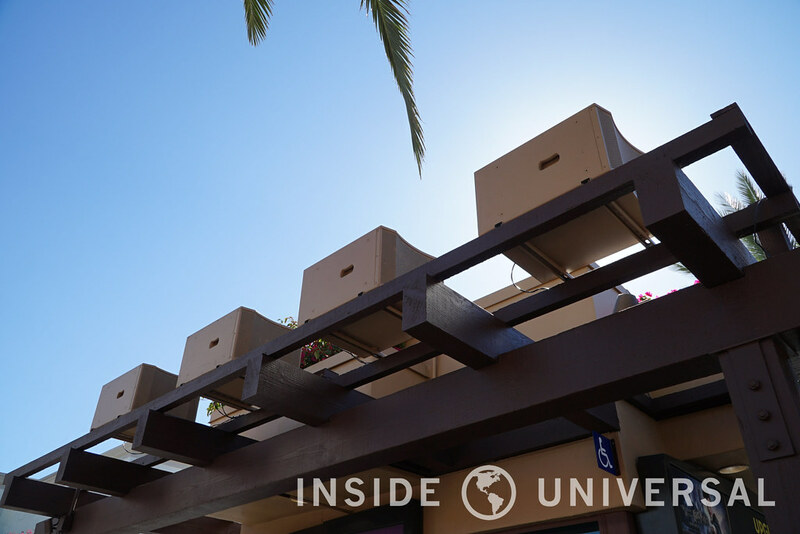 While the bulk of the theme park is now finished, Universal continues to make small adjustments throughout the property to refine guest navigation. 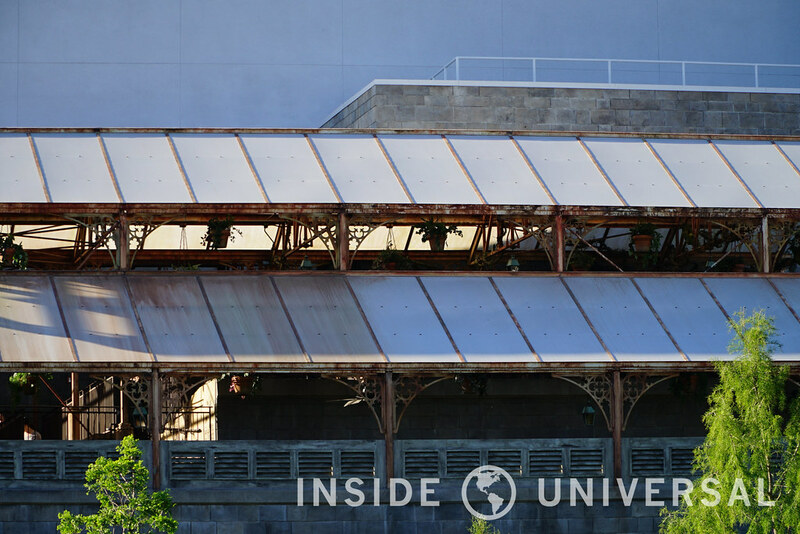 The only exception – of course – is The Walking Dead Attraction, which is slated for debut this summer. 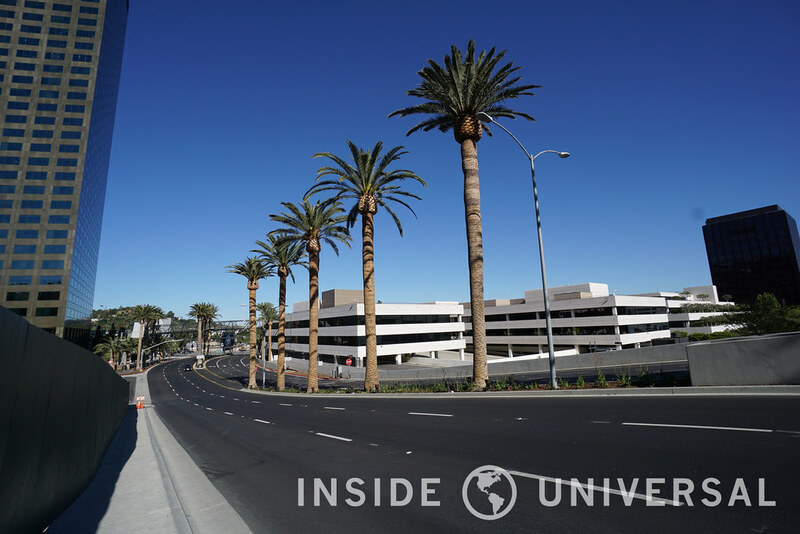 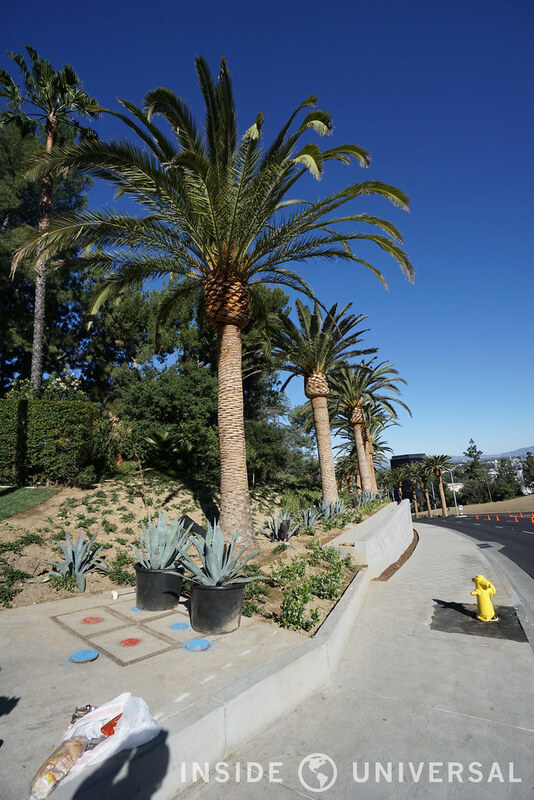 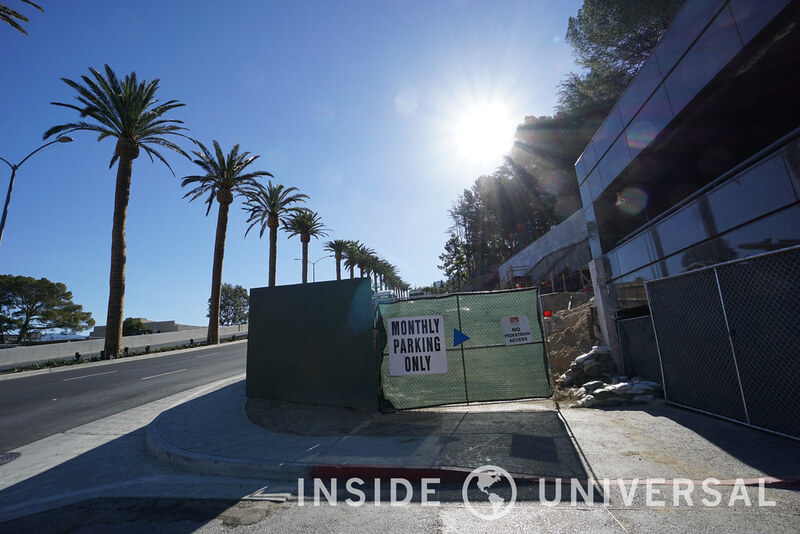 That project – which occupies portions of Universal Boulevard – is the lone intrusion in an otherwise construction wall-free park. 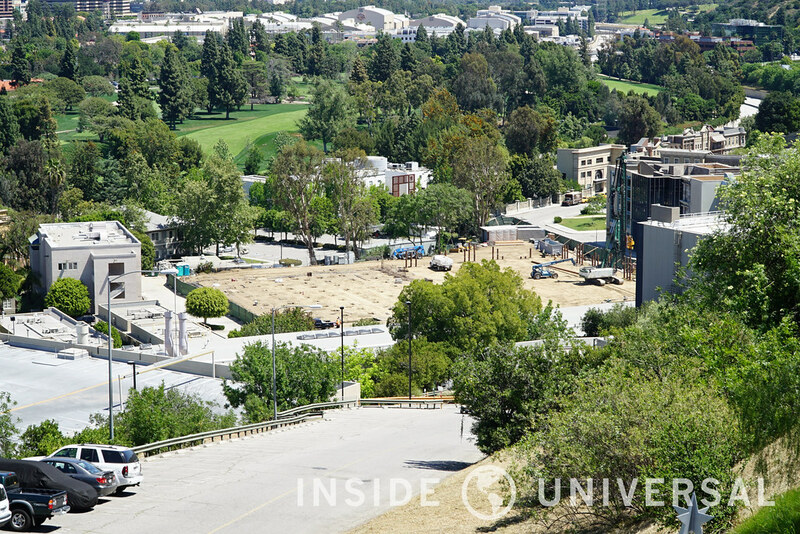 Wandering outside the park and into the studio points a different portrait, with construction crews working to construct new facilities to modernize the production side of Universal City. 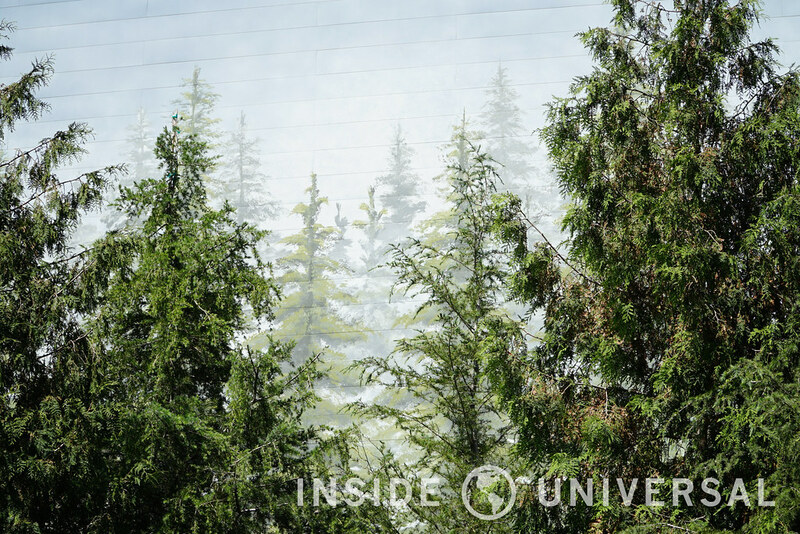 With that in mind, let’s get started with this month’s update. 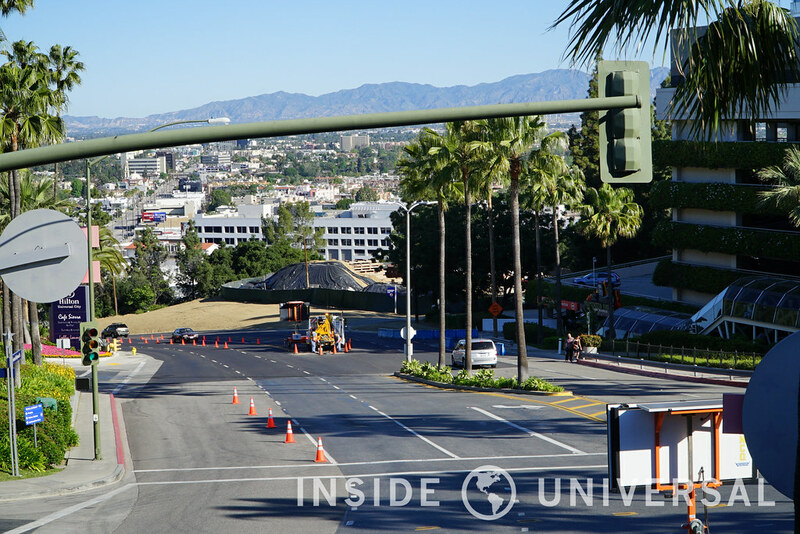 With the bulk of Universal Hollywood Drive now completed for guests, crews are now completing the roadway’s finishing touches. 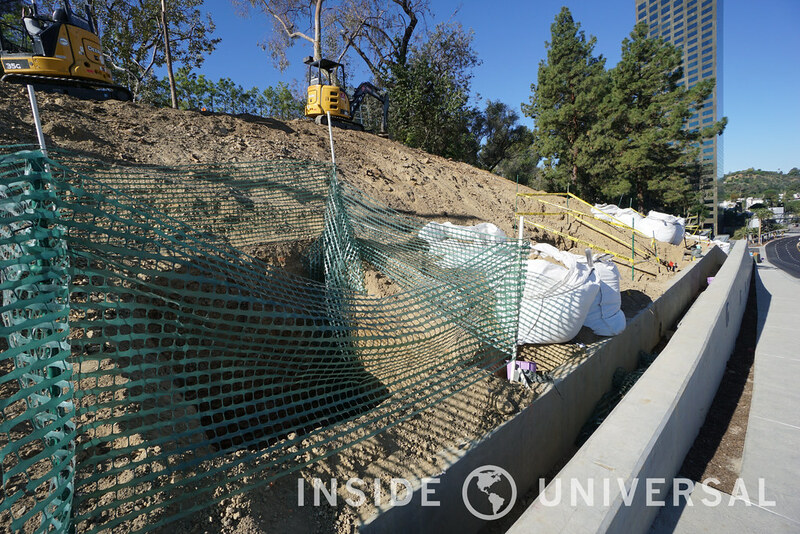 The Sheraton and Hilton entrances are still receiving greenery, while dirt continues to line the sidewalk alongside the pedestrian walkway. 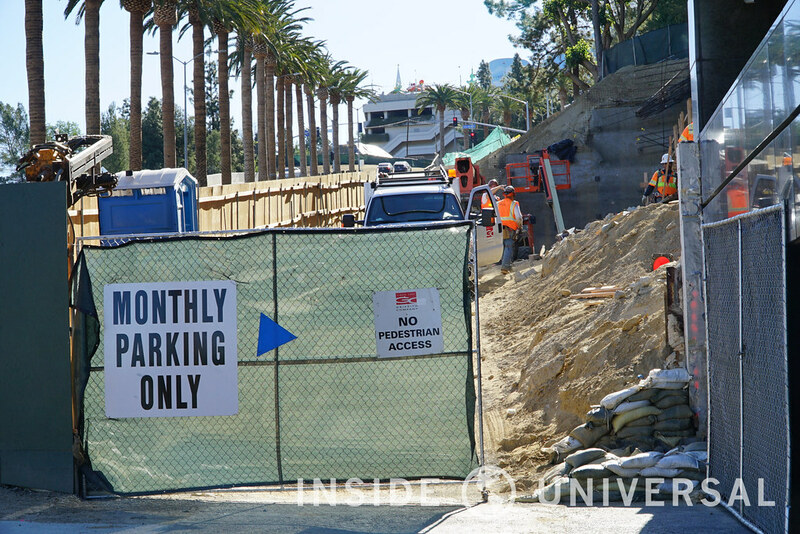 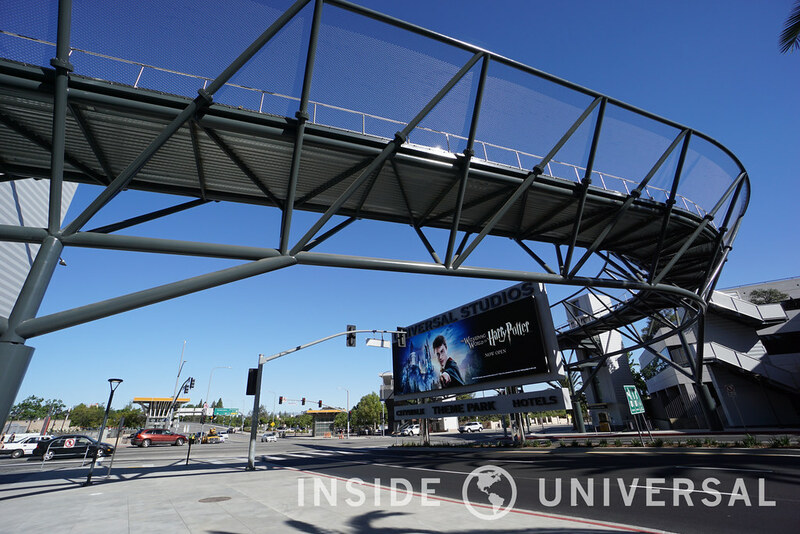 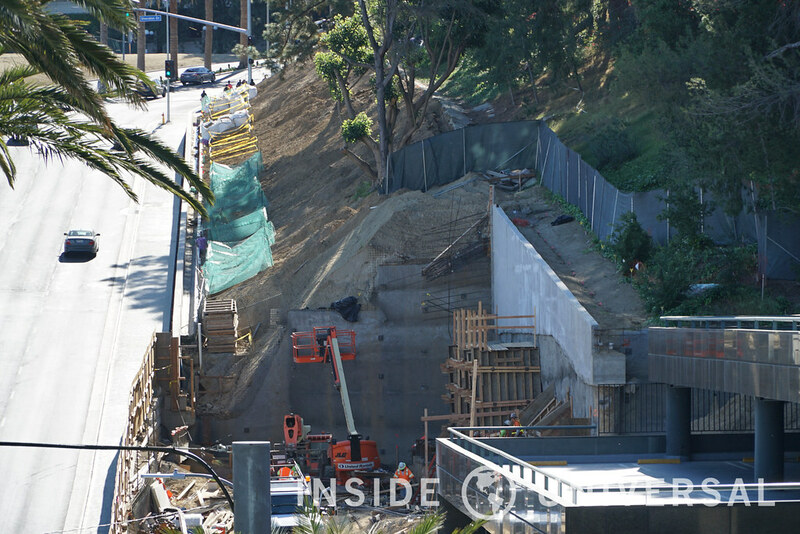 The underground tunnel connecting 10 Universal City Plaza and the studio, however, is still undergoing significant work with crews continuing to construct a new pathway that will ease congestion alongside Lankershim Boulevard. 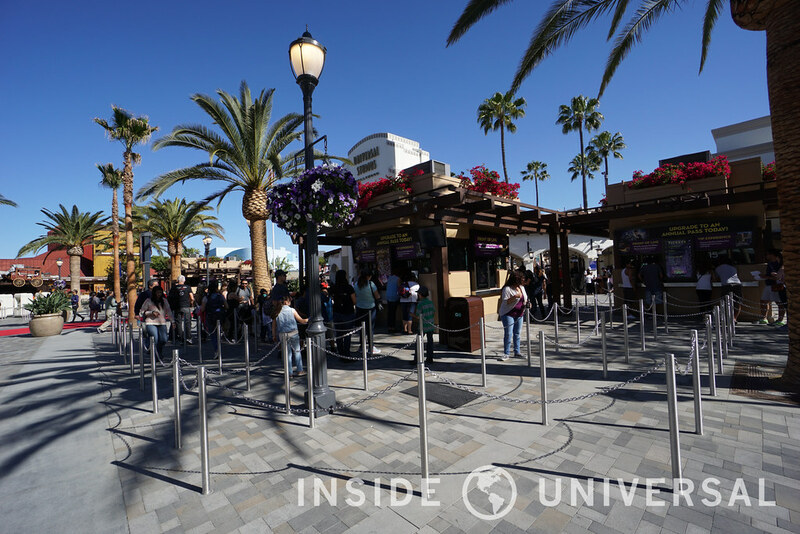 Despite the abundance of heavy machinery, guest flow remains mostly uninhibited across Universal’s Lankershim entrance. 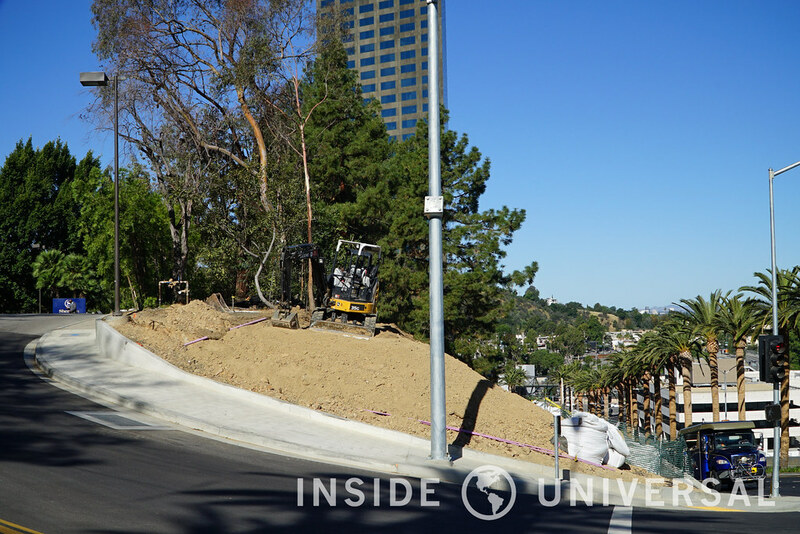 Moving to the front of the park, Universal continues to add refinements to the entrance plaza. 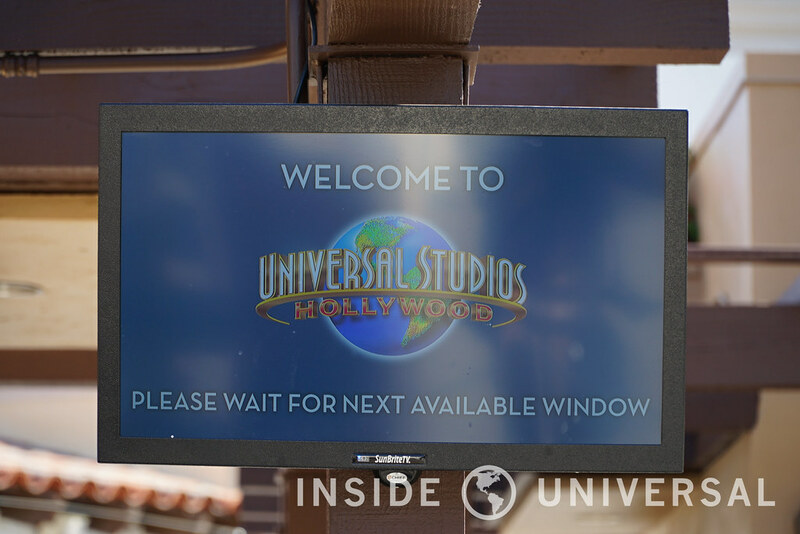 The monitors that we covered in the previous update are now in use, directing guests to the next available window. 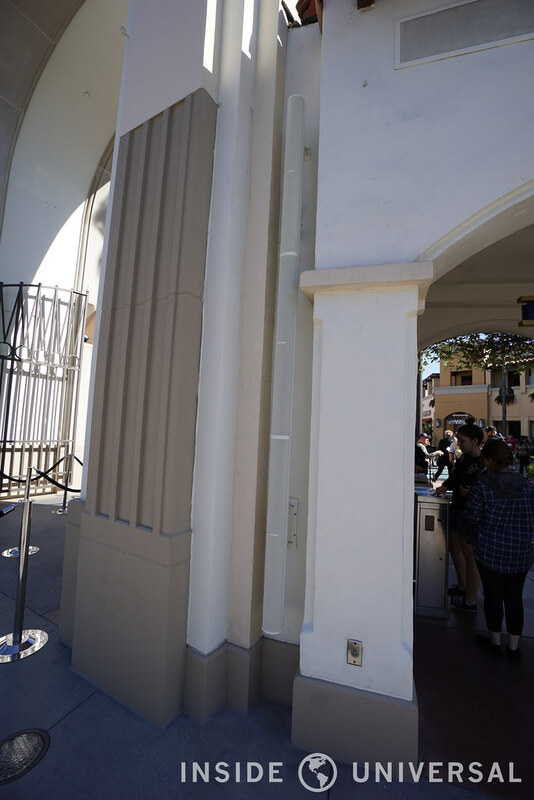 Additional column speakers have also been installed on light poles and in front of the arch, while navigational signs have been fully installed in the plaza’s new flooring. 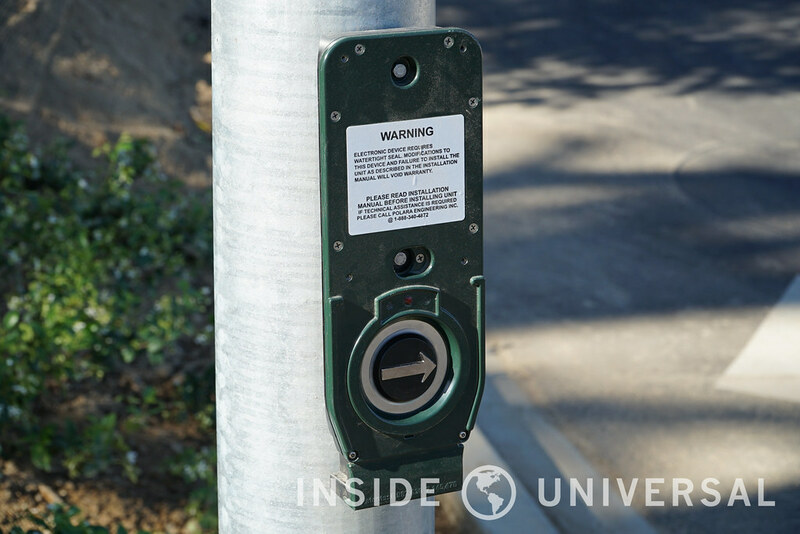 New York Street has also received a small modification – this time focusing on park navigation. 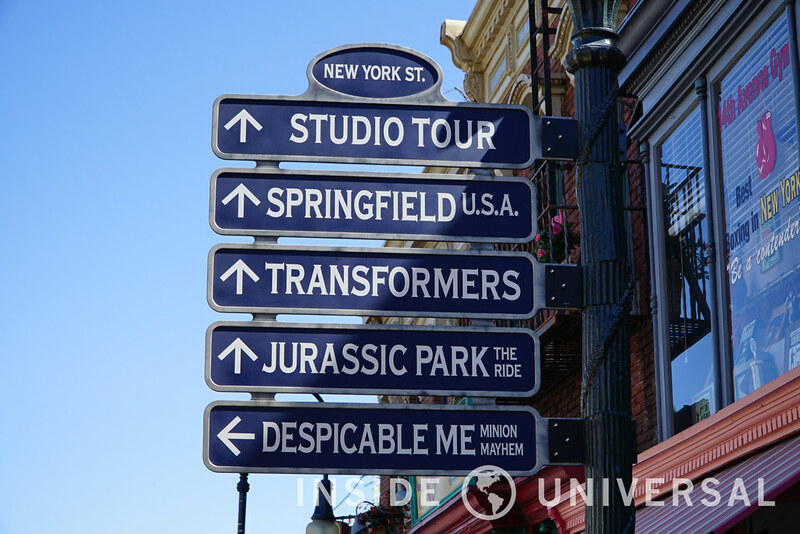 Using the light pole next to the main facade, Universal has installed a directional signs directing guests to main checkpoints in the park, including the Studio Tour, Springfield, Despicable Me and Transformers. 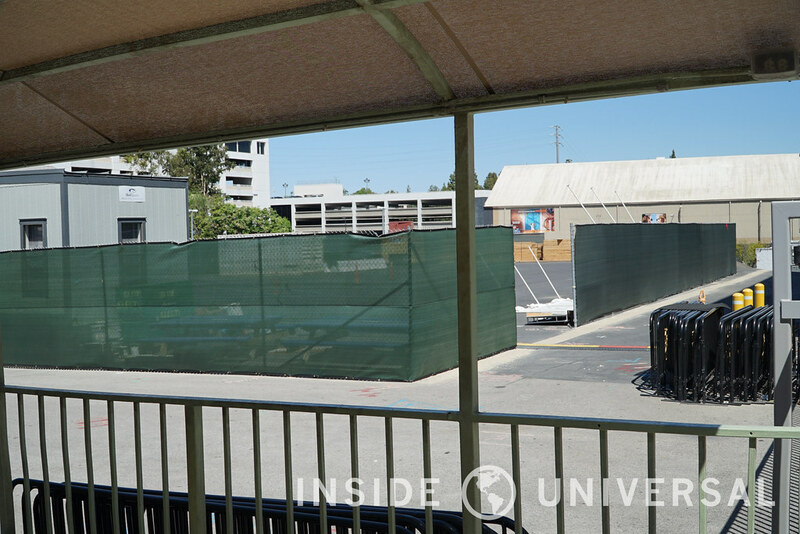 With The Walking Dead Attraction opening this summer, construction on the new year-round maze continues internally inside Universal Boulevard. 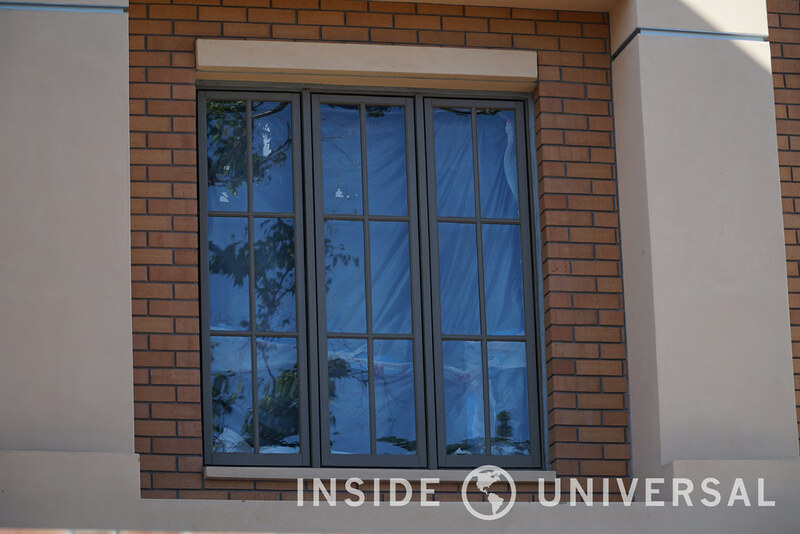 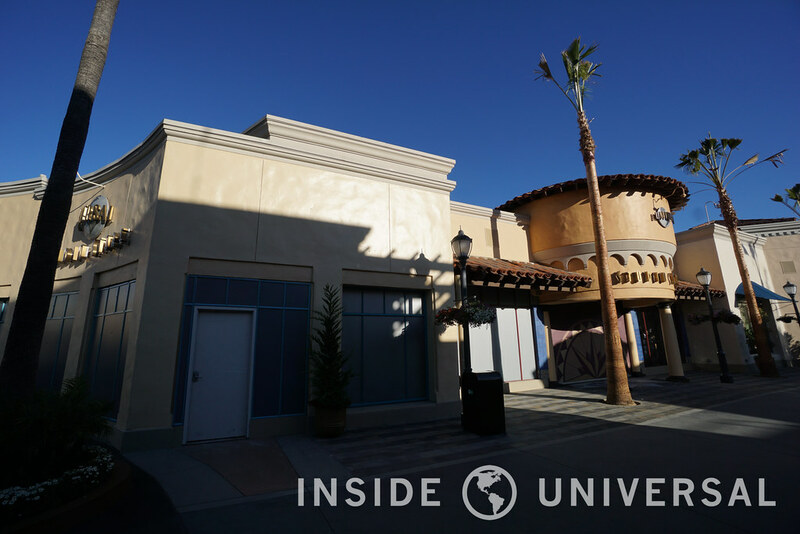 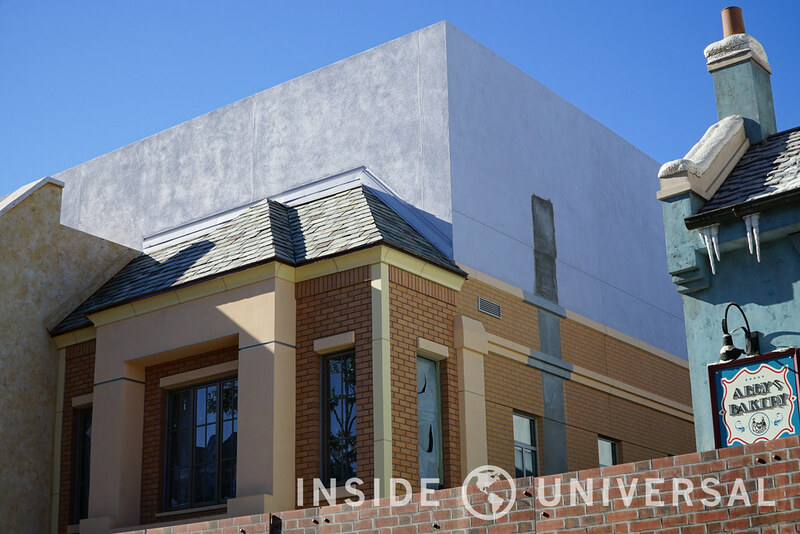 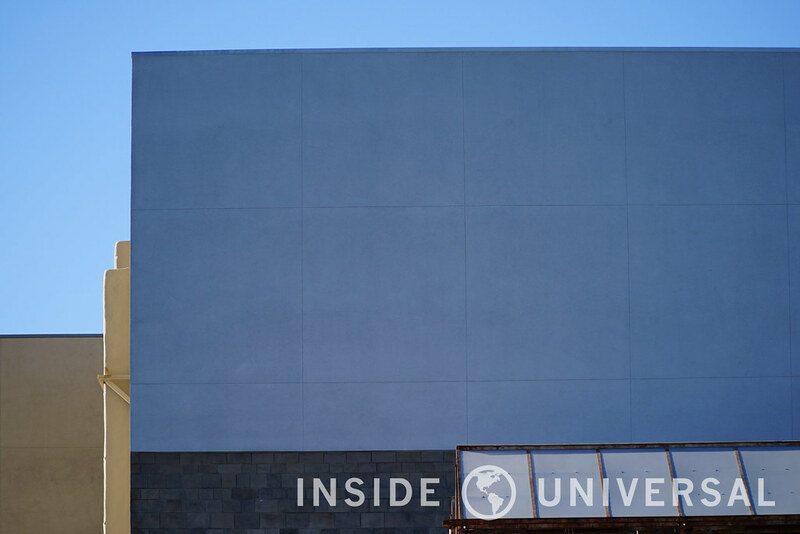 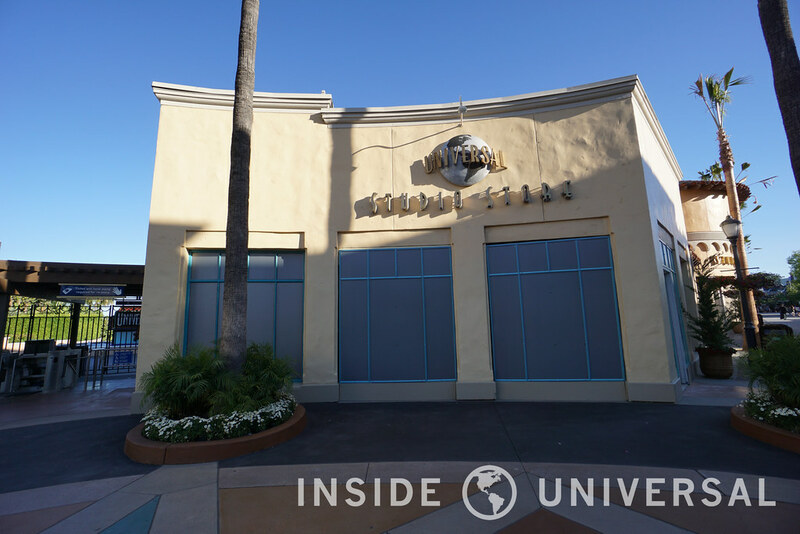 While details have been scarce on where the attraction will feature its main entrance, the first half of the original Universal Studio Store has remained walled off. 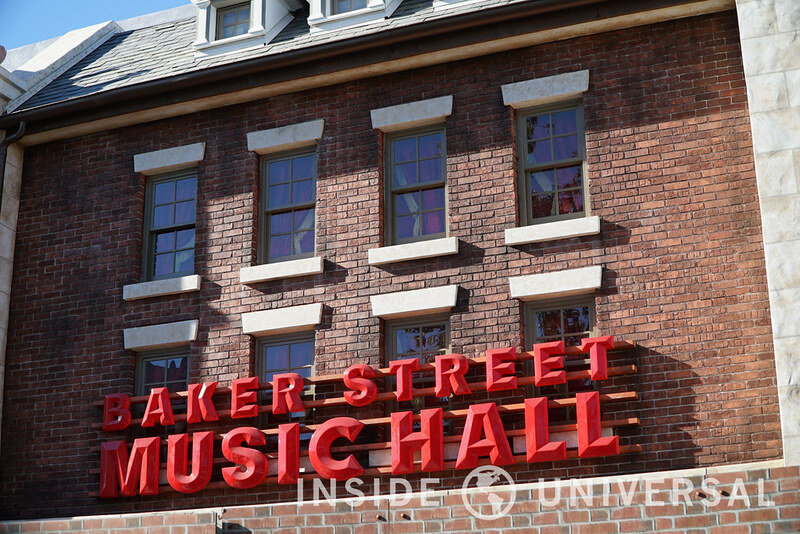 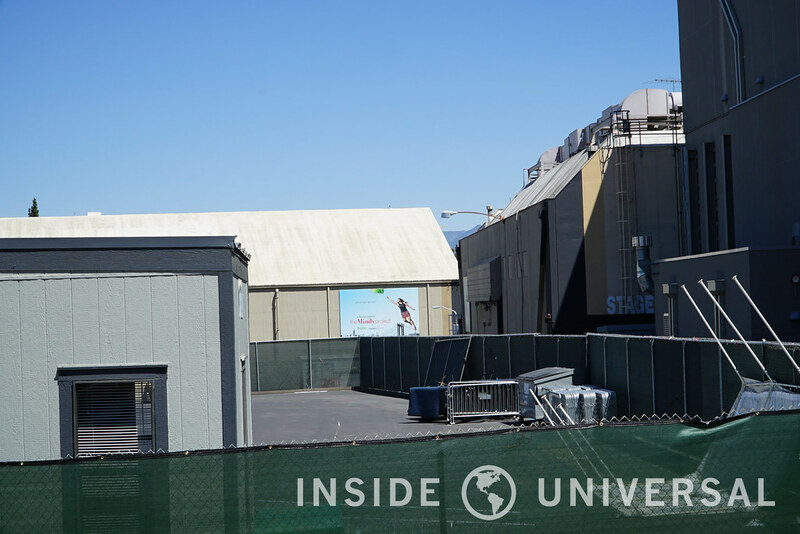 With the new Baker Street Music Hall sign taking the place of Universal’s House of Horrors’ original exit, perhaps the new entrance of The Walking Dead Attraction will be located in front of the park or along the side of the Studio Store’s original entrance. 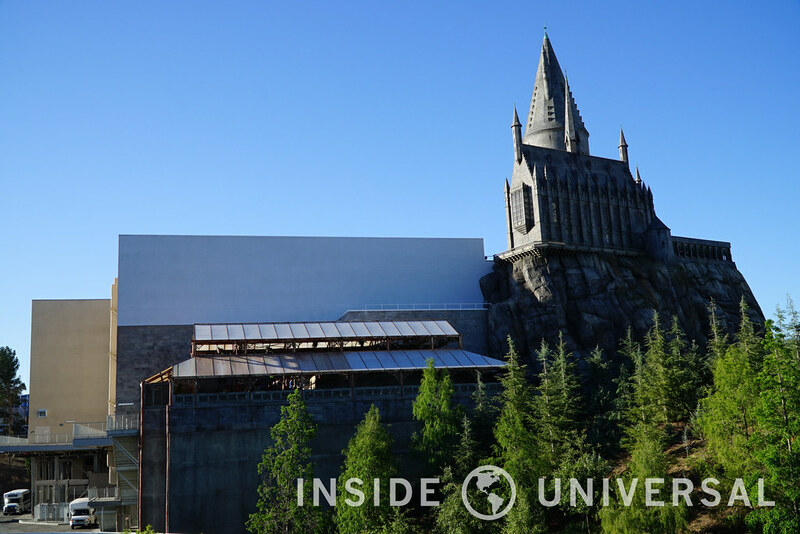 The Wizarding World of Harry Potter is now officially open! 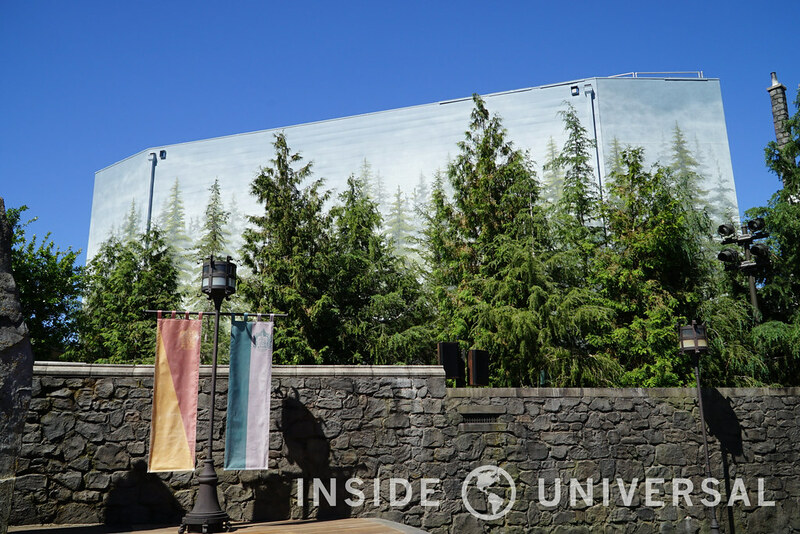 …and Forbidden Journey continues to have an odd white wall painted above its greenhouse queue. 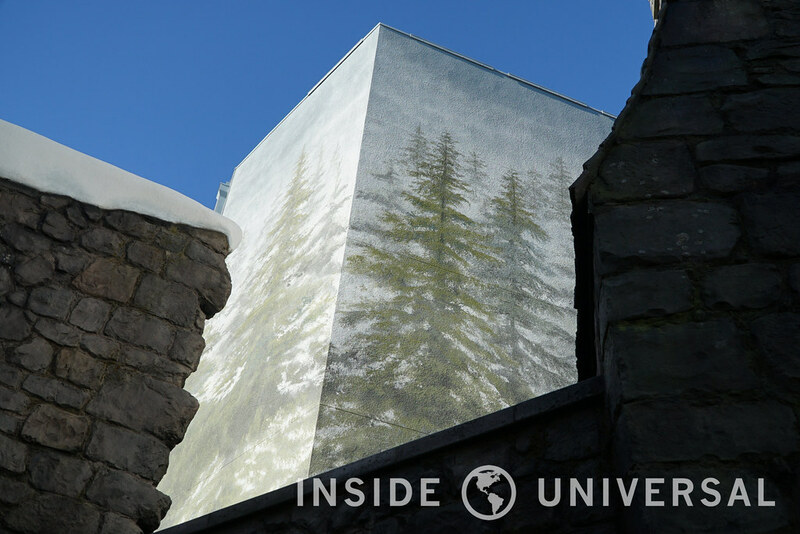 While Shrek 4D’s new mural has been basking in the sun, no visible work has appeared above the Forbidden Journey show building. 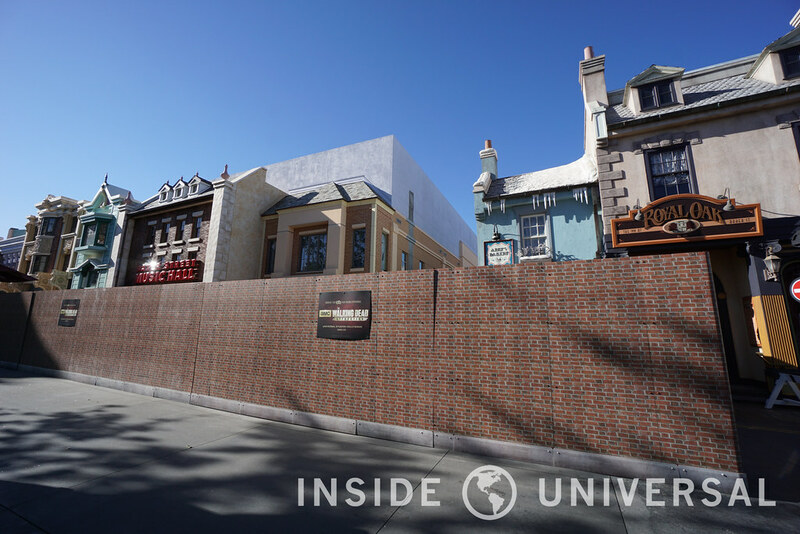 Is this a permanent change, or are crews waiting to complete the wall’s brickwork. 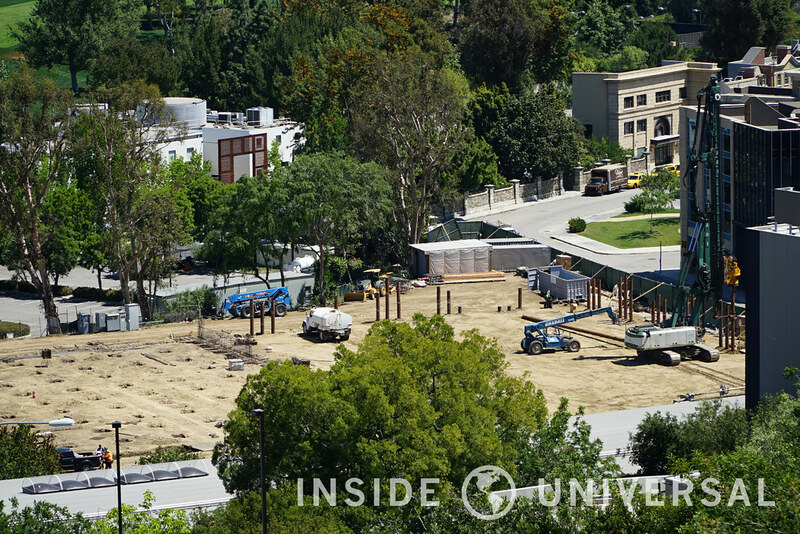 Meanwhile, construction on the backlot continues, with crews beginning to construction two new soundstages on the Universal backlot. 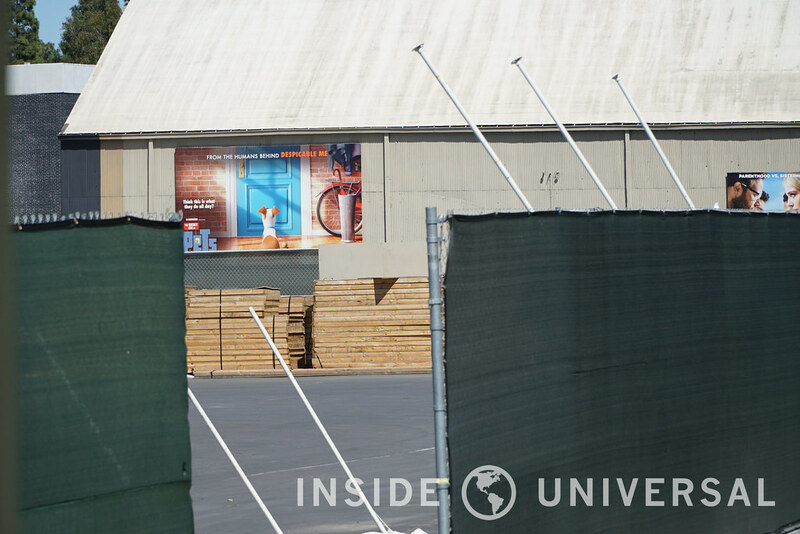 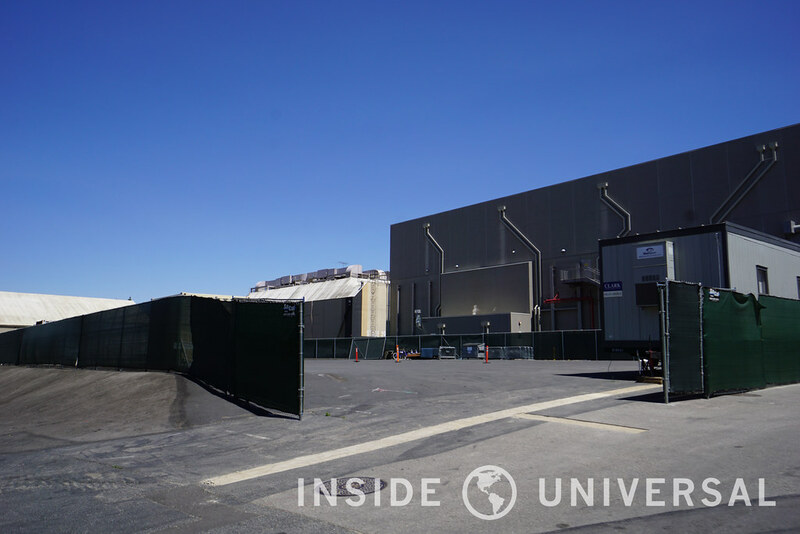 As these new structures materialize, we’ll begin to see other activity on the lot soon – so stay tuned! 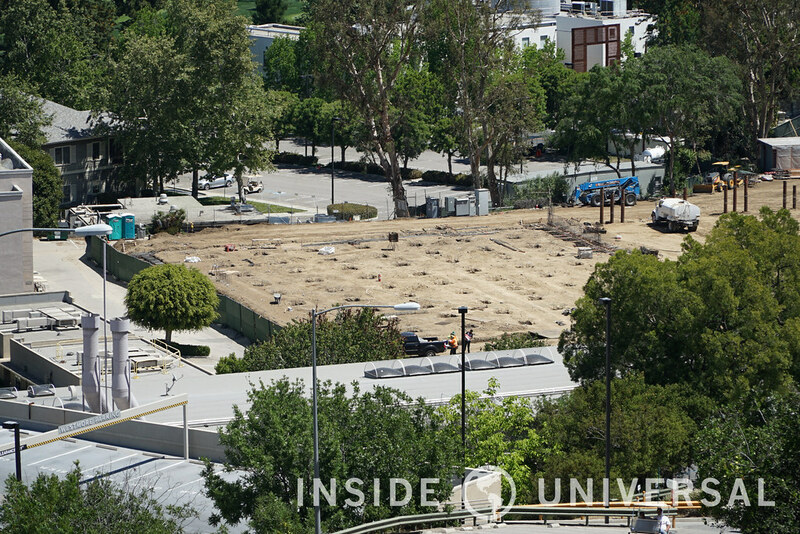 Finally, the site of Soundstage 28 remains dormant and relatively unchanged, with markings on the floor indicating impending construction. 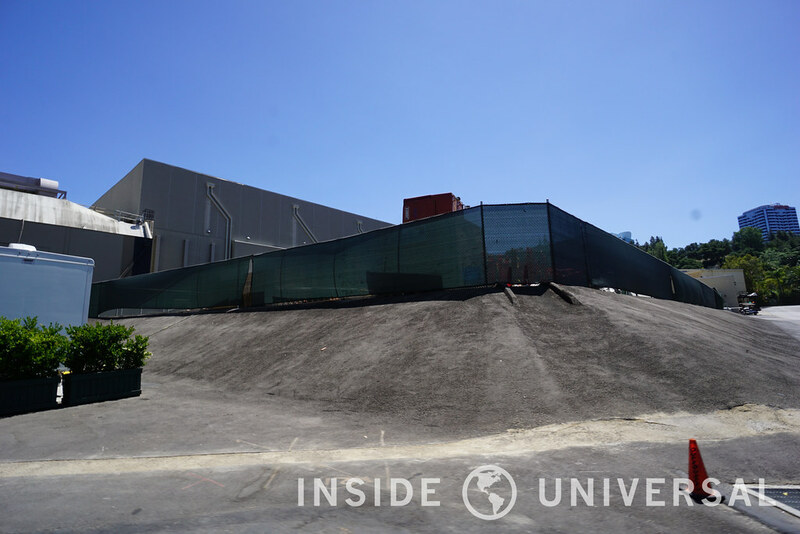 All in all, construction at the park has been refreshingly minimal as Universal begins to handle the effects of The Wizarding World. 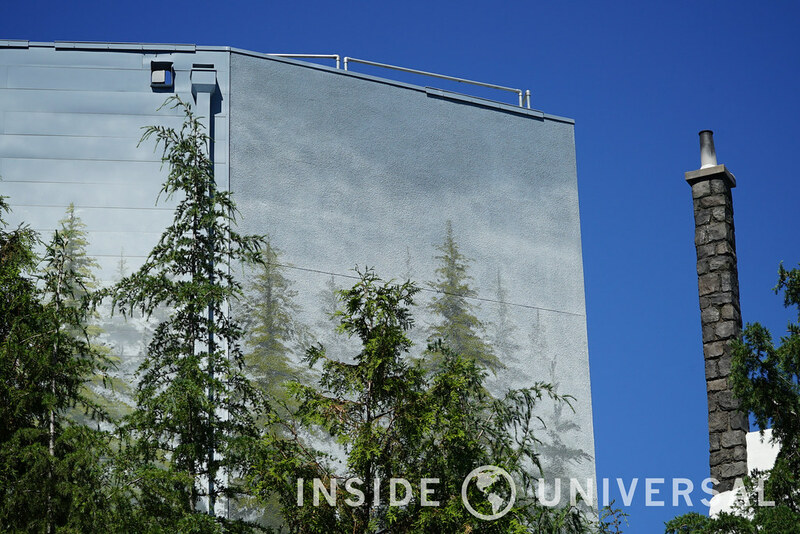 As always, we’ll keep you posted on the park’s latest developments as Universal begins its second transformation soon.